This is a beautifully designed 8 oz. 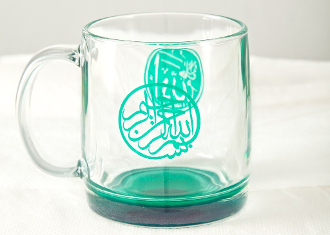 cup designed by Professor A. Karim Darwish. On one side is the name of Allah, on the other side is the praising of Allah. Quartz activated with a high powered magnet on bottom of cup.